The Villas at Cortina are an enclave unlike any other. Offering great trailside access via the Sundance ski run, these beautifully crafted residences offer the finest of finishes and fixtures. The expansive windows showcase the stunning views of the mountains and the exquisite interiors appeal to the most discriminating buyers. The mountain modern design offers a mix of clean lines with a nod to the historical ranch past. Touches include the finest stone, top-of-the-line appliances and multiple fireplaces. 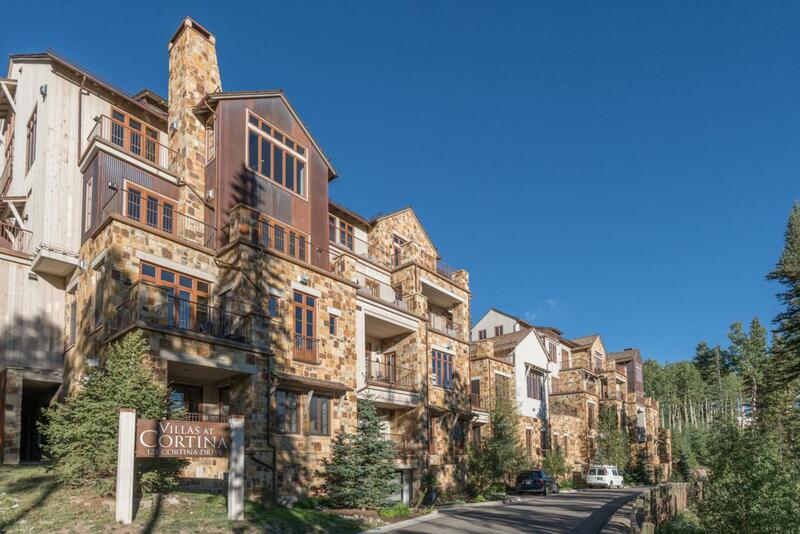 Abundant amenities including concierge and shuttle services, owner's lounge, spa with steam rooms, fitness center, game room, private ski lockers, garage storage unit, heated underground parking, and an outdoor heated pool and hot tub. Bldg back-up generator for lights and elevator.